A dark and electrifying novel about addiction, fanaticism, and what might exist on the other side of life. 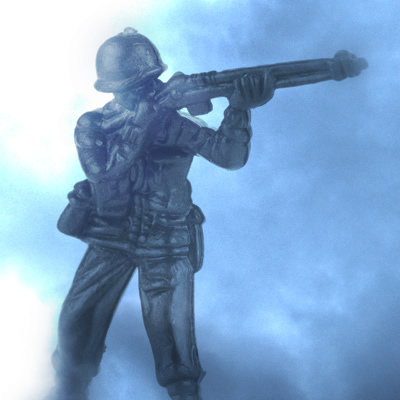 In a small New England town, over half a century ago, a shadow falls over a small boy playing with his toy soldiers. Jamie Morton looks up to see a striking man, the new minister. Charles Jacobs, along with his beautiful wife, will transform the local church. The men and boys are all a bit in love with Mrs. Jacobs; the women and girls feel the same about Reverend Jacobs—including Jamie’s mother and beloved sister, Claire. With Jamie, the Reverend shares a deeper bond based on a secret obsession. When tragedy strikes the Jacobs family, this charismatic preacher curses God, mocks all religious belief, and is banished from the shocked town. 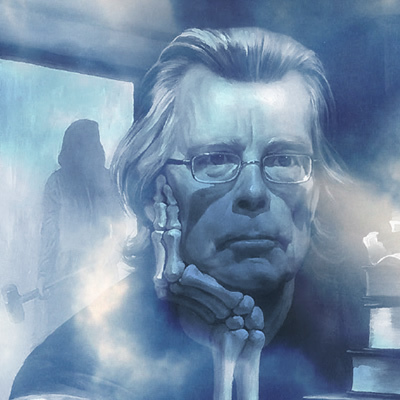 Between November 11th and December 23rd, StephenKing.com and Simon & Schuster Audio will be releasing seven carefully selected audiobook excerpts from the first several chapters of Revival. 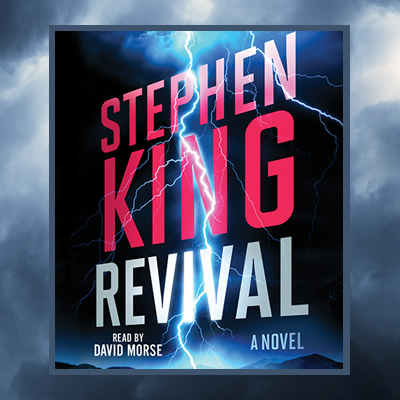 Read by David Morse of The Green Mile fame, the Unabridged Audiobook Edition of Revival is sure to frighten and perhaps inspire even the most diehard of Stephen’s fans. 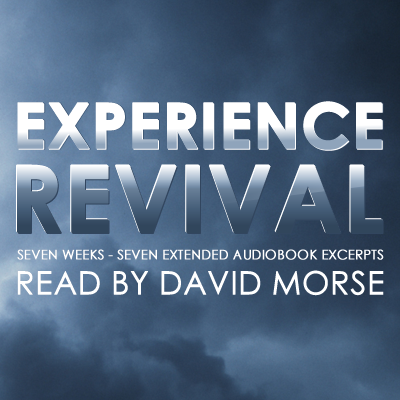 Listen to David comment on his reading of Revival using the player below. 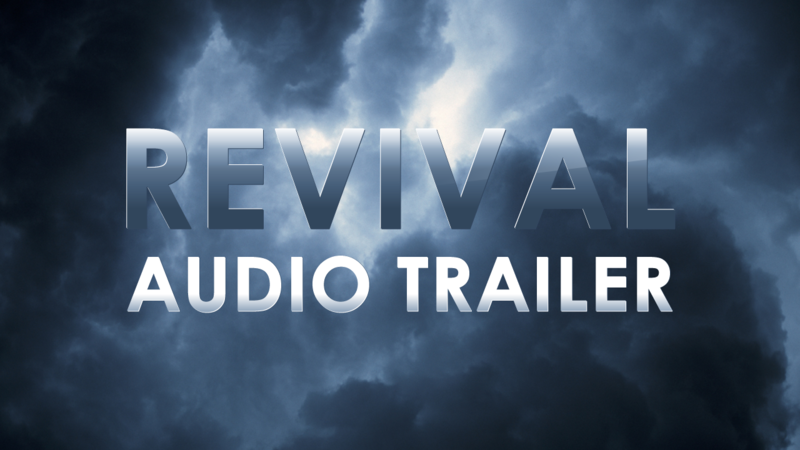 The Revival Audibook will be available on November 11th in CD, CD MP3 and Downloadable MP3 formats. As of January 1st, PrepareForRevival.com is no longer accepting submissions. At this time, we’d like to thank everyone that participated in our social experiment and shared of themselves so freely. Best wishes! 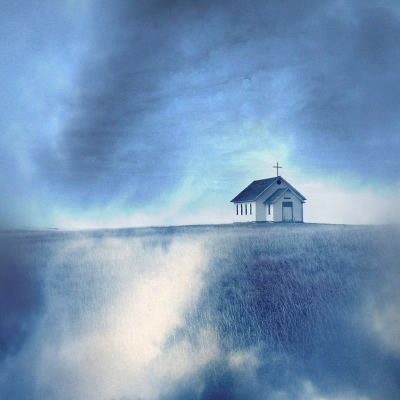 As Revival is perhaps Stephen’s darkest novel to date, some Constant Readers may wish to take some time to prepare for the experience of reading the story. 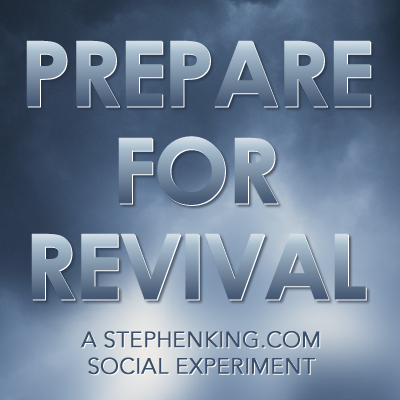 Prepare for Revival is intended for Stephen’s fans to explore the dark side of the human condition in anticipation of reading the novel. Prepare for Revival invites you to explore and anonymously share your innermost thoughts on the major themes contained within the story. Users can safely and securely post their experiences and feelings about Faith, Tragedy, Disillusion, Addiction, Curiosity, Obsession, Death and The Afterlife. 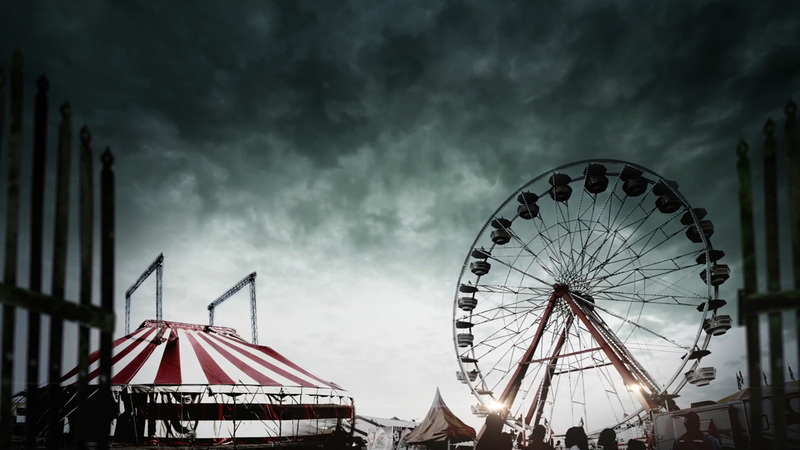 Once users have read the novel, fans can also post their thoughts on Revival, its plot, characters, events and the larger-than-life climax. 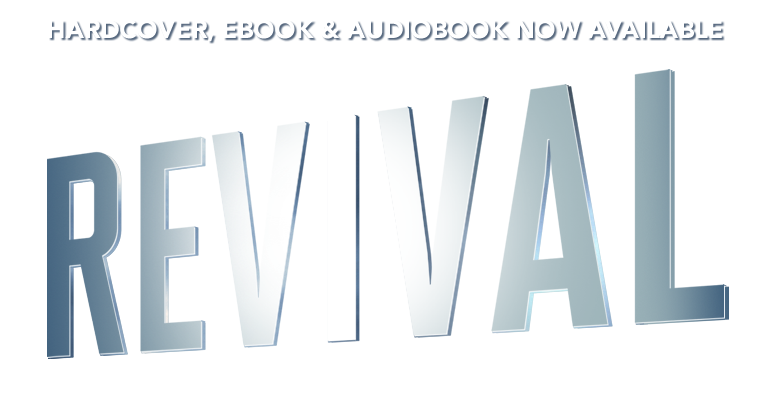 A 23 page excerpt from Revival is now available on Scribner's web site. NEW! Rolling Stone has also posted an extended excerept from Revival with a SoundCloud audibook excerpt as well. Andy Greene of Rolling Stone conducted an in-depth interview with Stephen about his childhood, career, addictions, spiritual and political beliefs, family life and more. The eight page interview hits newsstands on October 24th and will be available for two weeks. Hodder & Stoughton is now offering a Limited Edition Collector's Set for Revival. The 500 copy offering comes complete with deluxe binding, slipcase, illustrated endpapers and more. See the link below for more information. Please note: This UK editon is not avaialble in all markets including the United States and Canada. On November 11th, Stephen will embark on a six-city book tour to promote the release of Revival. The tour begins in New York City and continues through Washington DC, Kansas City, Wichita, Austin and South Portland. See the link below for more information and a complete breakdown of the schedule and events. 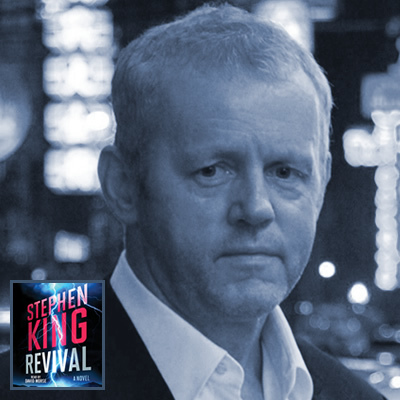 Simon & Schuster Audio has announced the Unabridged Audiobook Edition of Revival will be read by veteran actor David Morse. David's acclaimed performances can be seen in The Green Mile, Dancer in the Dark, Proof of Life, The Crossing Guard, The Hurt Locker, World War Z, and The Odd Life of Timothy Green. Morse portrayed George Washington in the HBO mini-series John Adams (Emmy Nomination), and has appeared on Treme and House (Emmy Nomination), but is best known for his role as Dr. Jack "Boomer" Morrison on St. Elsewhere. Morse made his Broadway debut in On the Waterfront, starred in The Unavoidable Disappearance of Tom Durnin, and received an Obie Award for his performance in How I Learned to Drive. 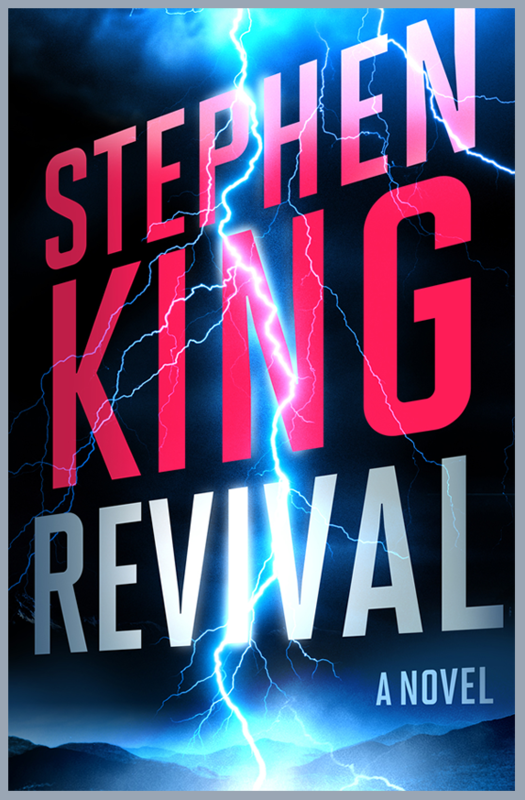 The cover artwork for Hodder & Stoughton's UK hardcover edition of Revival has been fully revealed. 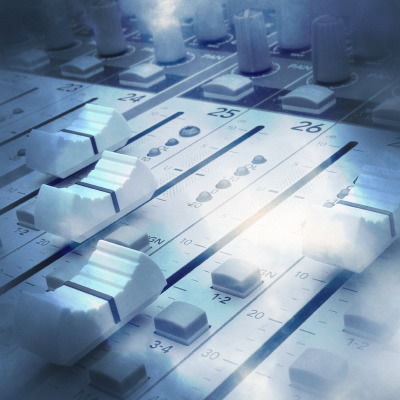 See the link below for the full high-resolution image of the cover artwork. 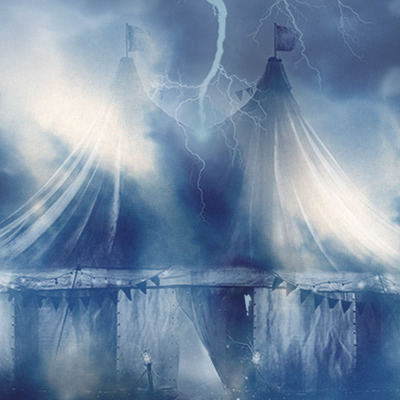 To celebrate the debut of the UK Edition cover of Revival, Hodder & Stoughton has launched a unique Facebook application to reveal the artwork. Constant Readers can visit the Facebook page at the link below to take part in the crowd-sourced unveiling driven by likes and shares. For those who don't have a Facebook account, not to worry--it is not necessary to have a Facebook account to view the page. 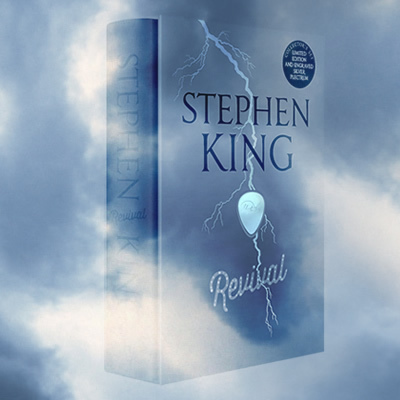 The cover artwork for the hardcover edition of Revival has been revealed. 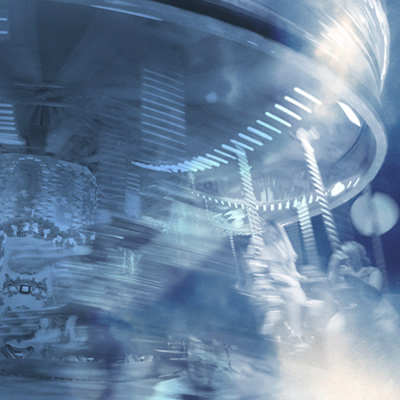 See the link below for the full high-resolution image of the cover artwork. 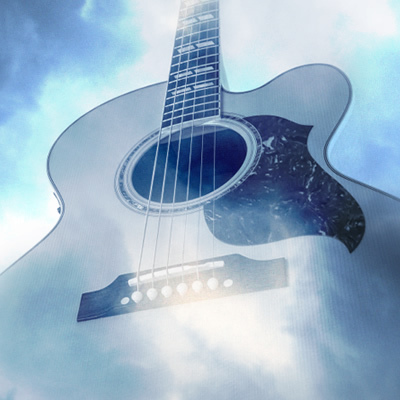 Revival, Stephen's next novel, is set to be published on November 11, 2014. The epic tale spans five decades and concludes with a shocking climax sure to frighten even the most diehard of Constant Readers.